India's outbound deals, which were valued at US$ 0.7 billion in 2000-01, increased to US$ 4.3 billion in 2005, and were estimated to further cross the mark of US$ 15 billion in 2006; also the number of cross-border M&A deals increased in this period as may be seen in Figure 1. The total outbound cross border deals for the year 2007 have been reported at 240 with a value of US$ 32.73 billion [IBEF, 2007], thereby registering a staggering growth of over 100%. In fact the inbound FDI to India has been superseded by the outbound FDI of Indian firms. However, there seem to be considerable differences between these figures and the figures of actual approvals and outflows as reported by the Reserve Bank of India. Between April and December 2007 the RBI approved 1595 proposals for outward FDI amounting to US$ 18.44 billion. Almost half of the outward FDI (43%) between April and December 2007 was reported to have flown into manufacturing sector. The main recipients were Singapore (37%), the Netherlands (26%) and the British Virgin Islands (9%), reports the Reserve Bank of India; see RBI (2008). Indian firms from various sectors such as automotive component supplier Bharat Forge, pharma major Ranbaxy, conglomerates like the Tata group, and Reliance, as well as oil major ONGC are investing abroad overseas and "expanding at a breakneck speed" [Gopinath, 2007, p. 3]. "There is a great dynamism amongst Indian companies to globalize and in the years to come we may expect many more Indian multinationals", says Ms. Shyamala Gopinath, Deputy Governor of the Reserve Bank of India (Gopinath, 2006, p. 6]. Such Indian multinationals, according to her, shall not be confined to large firms but shall increasingly include also medium-sized firms [Gopinath, 2007 p. 6]. 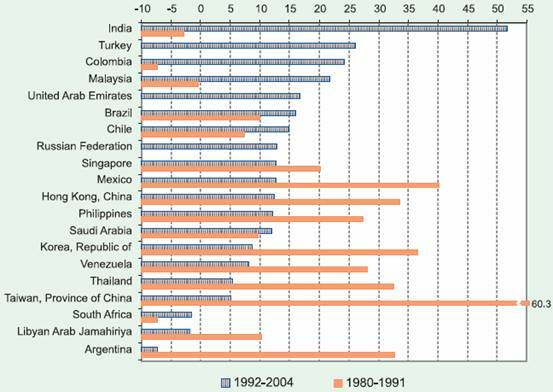 Figure 2 gives an insight into this trend, according to which India's outbound FDI rose by an average annual rate of over 50% between 1992 and 2004, the highest growth in the group of surveyed countries. This was in direct and stark contrast to negative outbound FDI by India in years 1980 to 1991. The average deal size, according to an Accenture study, "increased from US$ 32 million in 2005 to US$ 47 million in the first half of 2006" [Accenture, 2006 p. 11]. "Despite this trend, however, the size of India's acquisitions is still roughly half the size of average global M&A deals" [Accenture, 2006, p. 11]. According to a joint finding by two European investment bodies from France and Germany (Invest in France and Invest in Germany), the FDI outflow from India to the European Union (EU) were expected to cross the mark of US$ 25 billion in 2007 from an estimated US$ 16 billion in 2006 [IBEF, 2007]. Total employment provided by Indian companies in Germany was estimated at more than 10.000 workplaces in 2007 [Groene, 2007, p. 81]. One main reason for the Indian companies to invest in Germany seems to be the access to technologies and technology infrastructure besides market-seeking; see for instance Gopinath . But the know-how transfer is a complicated process and not as easy as it initially may seem to be. There may be legal complications involved. For instance even though Suzlon has acquired a share of 86.5% in Repower AG, the access to technologies possessed by Repower is not "freely" transferable due to legal provisions and complexities which require an additional "Beherrschungsvertrag" (control agreement) [Krümpel, 2008]. But there may also be organizational, cross-cultural and managerial problems which may not be obvious at the beginning. Moreover there may be false expectations resulting from incorrect estimations. Come up with suggestions for (policy) improvement, if/where applicable. The results and recommendations of this study will help Indian companies, which intend to invest in Germany for technology acquisition to better judge their options and to calibrate their strategy. On the other hand it will also provide German firms, and more importantly institutional players, with a better understanding of the situation thereby enabling better coordination and policy framework. The study is being carried out at TIM/TUHH within the framework of Research Project Global Innovation. Accenture, 2006, "India goes global - How cross-border acquisitions is powering growth", Accenture, www.presidencia.pt/archive/doc/India_Goes_Global.pdf Viewed: 15-01-2008. Gopinath, S 2007, "Overseas investments by Indian companies - evolution of policy and trends", International Conference on Indian cross-border presence/acquisitions, Mumbai, 19 January 2007. www.bis.org/review/r070122c.pdf Viewed: 27-12-2007. Groene, M 2007, "Indian investments abroad - a performance overview", Indo- German Chamber of Commerce, Duesseldorf, Germany. www.indo-german.com/facts.htm Viewed: 15-11-2007. IBEF, 2007, "Indian Investments abroad", India brand equity foundation (IBEF) www.ibef.org/economy/indianinvestmentsabroad.aspx Viewed: 12-02-2008. Krümpel, M 2008, "Inder wollen Windkraffirma schröpfen", in: Financial Times Deutschland, www.ftd.de/unternehmen/industrie/314303.html Viewed: 12-02-2008. RBI, 2008, "Indian Investment Abroad in Joint Ventures and Wholly Owned Subsidiaries: 2007-08 (April-December)", Reserve Bank of India - Bulletin (April 2008), pp. 579-585. UNCTAD, 2006, "World Investment Report 2006: FDI from Developing and Transition Economies: Implications for Development", United Nations conference on trade and development.